Seeing Gabi, Rich and Summer prepare for their next addition has been great fun. Gabi’s parents were over from Brasil, her in-laws only round the corner and a little pocket of time booked out for me to swing by with the pop-up-studio ready to capture their new little man, Elwood, for his newborn photography session. I had picked up this gorgeous metal trugg from somewhere a little while ago (it may even have been a local supermarket in their homewares dept), it was a lovely cream and eggshell blue which I knew would appeal to Gabi’s sense of colour and be a great starting prop for their little boy. 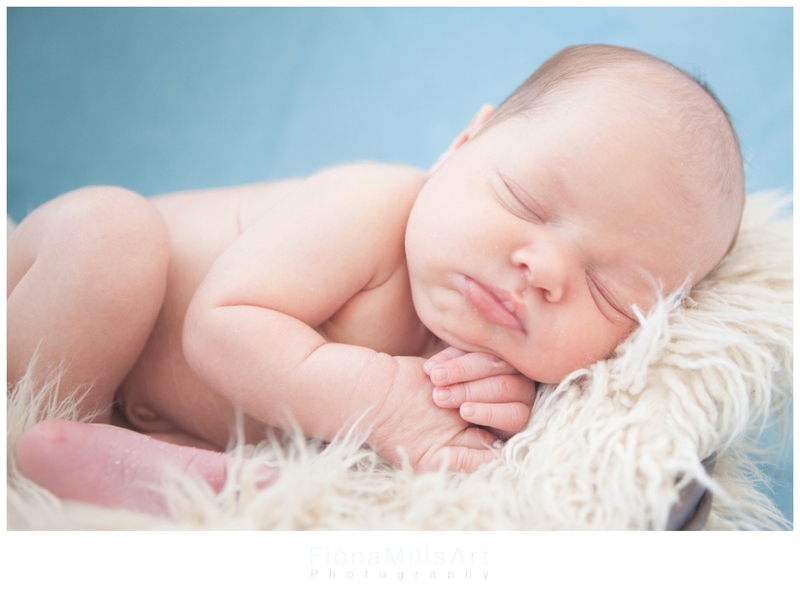 Like his sister before him, Elwood wasn’t big on sleeping deeply through the shoot, so we had to be quick with each pose before he became unsettled, but he seemed quite comfy in the little grey blanket I had arm knitted myself some time before. 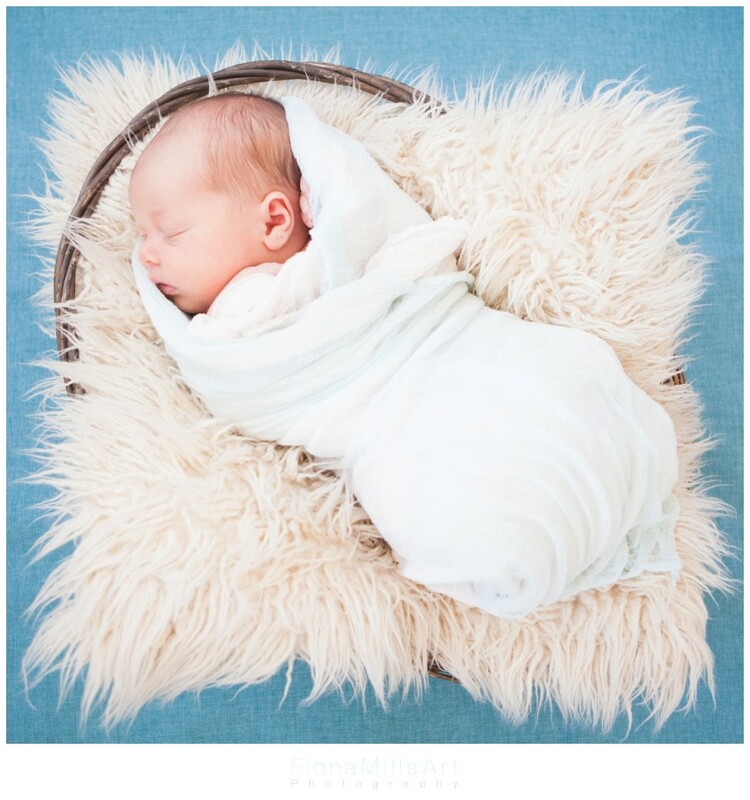 I do love seeing those little hands and feet still crumpled and creased from their time in the womb, especially as the poke through soft textures and fabrics. 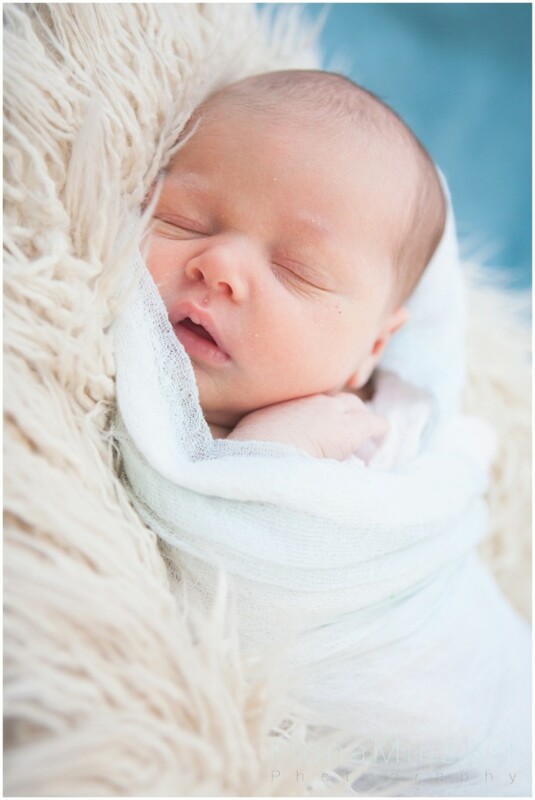 During the shoot, Gabi’s parents had taken their grand-daughter Summer out for a walk to allow us some quiet time for image taking and coffee drinking (newborn photography is a very relaxed affair!). 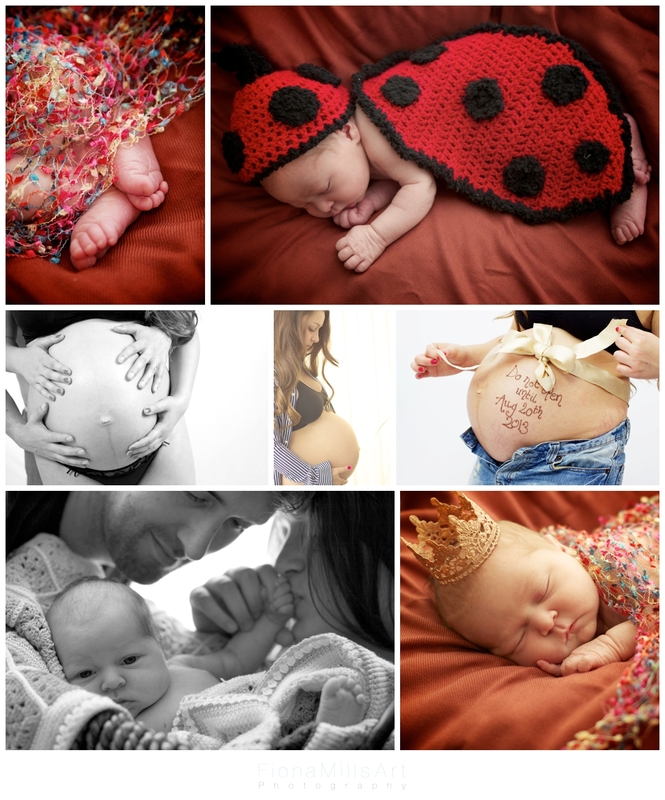 We remembered the last baby shoot and how Summer had managed to soil many props during the process. Oh how we laughed…..later we wished we had never mentioned it! Feeling lucky we removed Elwood’s clothes to settle him down for some naked poses. Boom, the baby heavens opened!! The photo below is showing a now-peaceful Elwood lying comfortably asleep in a nice warm squidgy mess that is thankfully hidden from view!! 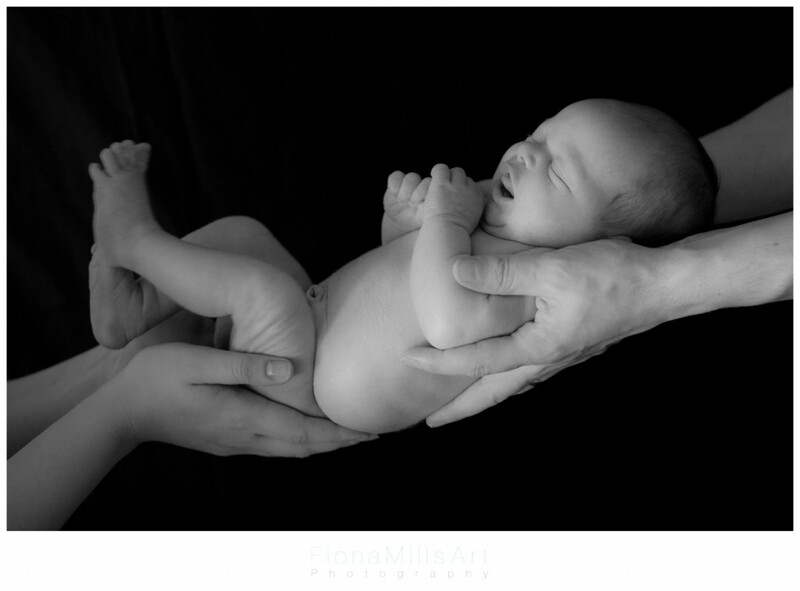 Maybe I should start a blog titled “The Secrets Behind Newborn Photography”!?! 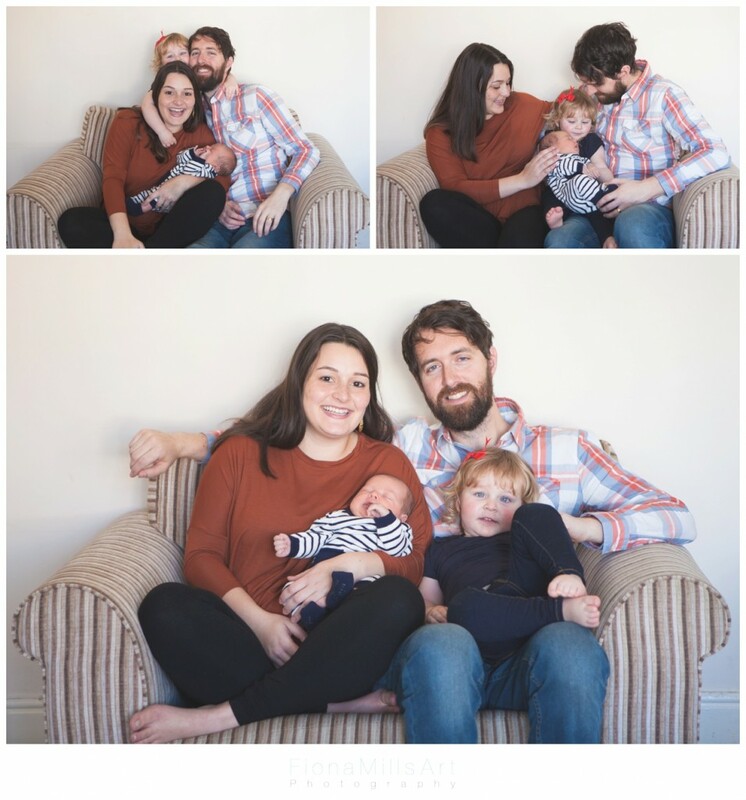 After a quick food break for Summer and a feed for Elwood we took some family portraits. I am in love with Gabi and Rich’s oversized stripy armchair (yeah, I know, I have a thing for lines!!). It was a great spot to pop them in and benefitted from having a simple plain wall background to make it a feature. With natural sunlight pouring through the bay windows diffused by simple nets and a wriggly Summer eager to show off her baby brother, the natural ease of this family unit is clear to see. Summer showed me her bedroom and reading corner where she shared some of her toys with Elwood. 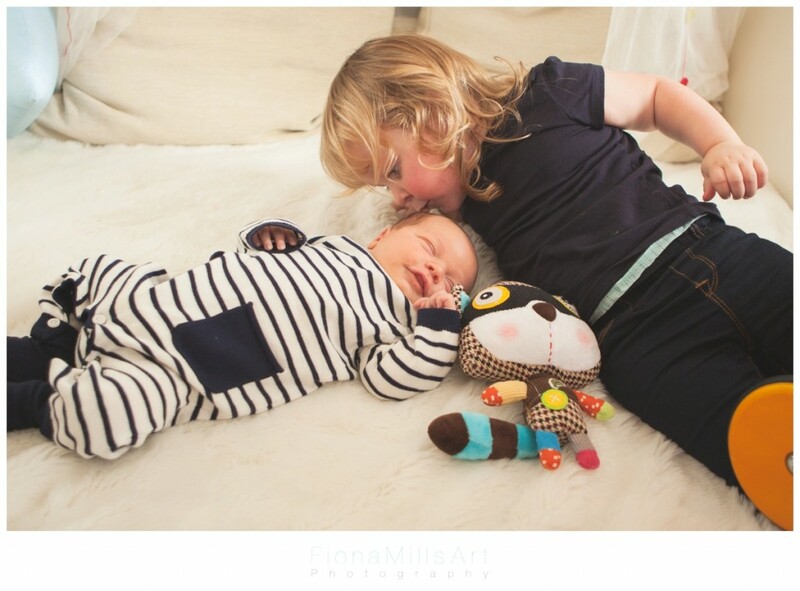 There was a lot of rolling around on the floor and easy distraction with all the fun things to play with, but it was a special moment when Summer plonked a quick kiss on Elwood’s head and he responded with a lovely smile. 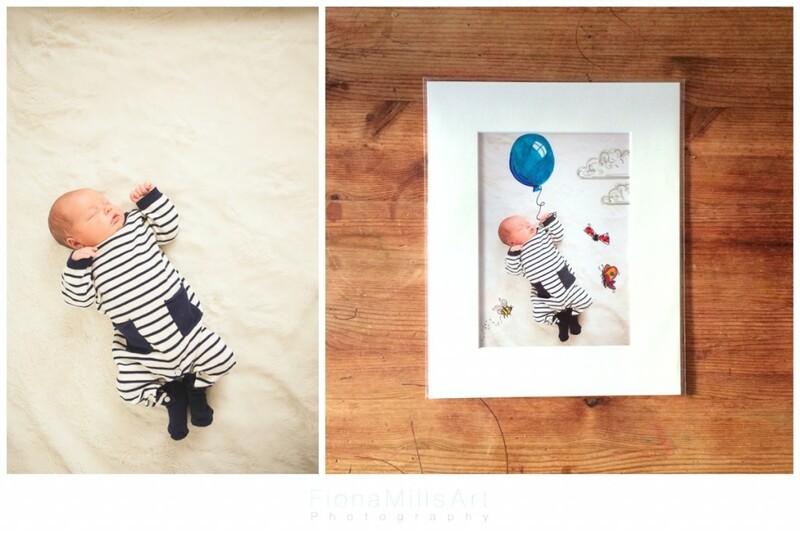 If you feel inspired by the idea of a Bump to Baby shoot, or even just a Newborn Photography shoot to capture those precious moments while your new addition is so teeny and small, please do get in touch. Here are some more samples of my baby shoots to get your imagination flowing. I am based in the Chichester / Bognor Regis area, but I do travel further afield. I look forward to hearing from you.